In Liberty City, Miami a well-liked husband and wife are brutally murdered in an ambush shooting. The eyewitness to the crime is the couple s ten-year-old daughter. She is the only thing linking the suspect to the crime. It s up to her to sway the jurors as she gives an emotional testimony in the hopes of putting her parents killer behind bars. 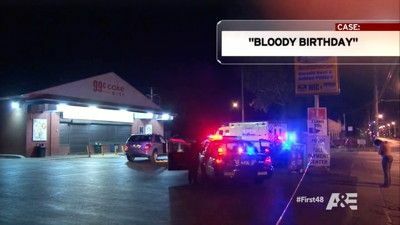 In Harris County, Texas, an innocent fifteen year old is heartlessly murdered by another teenager during a robbery. But when witnesses to the crime are shown photos of the killer, they fail to identify him. Will he get away with murder? And in Memphis, Tennessee, an innocent bystander, trying to break up a fight is killed when he is caught in the crossfire. But the more police question the suspect in the shooting, the more he adamantly proclaims his innocence.id the police actually have the wrong man? 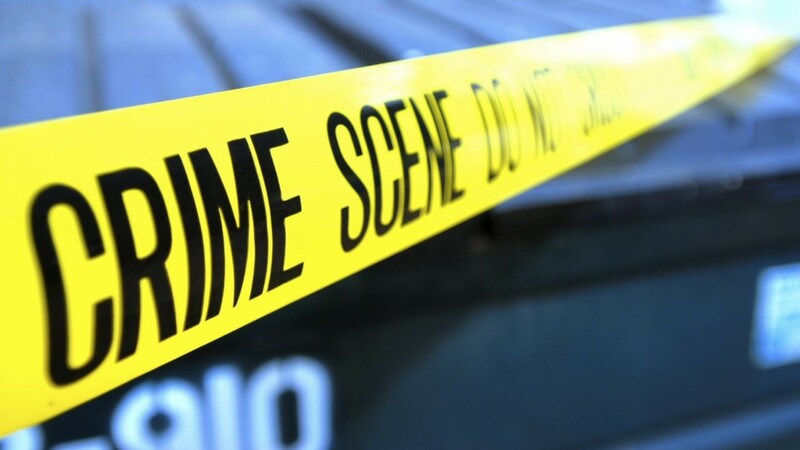 An unidentified man is gunned down in the Southside of Louisville, Kentucky. With no ID on the victim and few leads, detectives are stymied. It takes an unexpected tip to crack the case. But if prosecutors hope to convict the man s killer they ll need to convince his three frightened co defendants to testify against him. In November 2006, Dallas detectives investigated the murder of a twenty-nine-year-old mother of four, found burned beyond recognition in her car behind a remote warehouse. Detectives soon discovered that the victim's former boyfriend and father of her infant son, had been stalking her for months, leading up to her death. After tracking down two homeless witnesses and finding a piece of crucial evidence, police were able to charge James Bartley with capital murder. The Dallas DA's office was responsible for bringing the case to a close. In order to do that successfully, the prosecutor and her investigator had to keep close tabs on their key homeless witnesses for years, while the cased awaited trial. 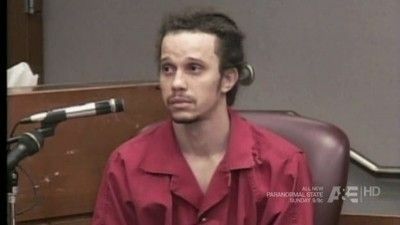 When Bartley finally stood trial in 2009, the prosecution worried the jury wouldn't believe the testimony of two homeless crack addicts and find the evidence insufficient to prove Bartley guilty beyond a reasonable doubt. In Harris County, Deputy Jason Brown and the homicide unit investigate the cold-blooded murder of a 15-year-old boy who was stripped down and shot during a home invasion. 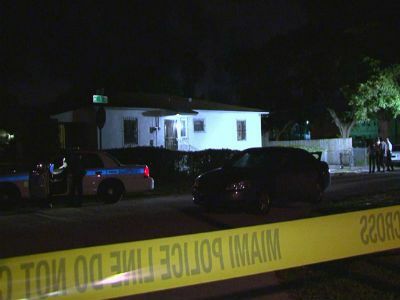 In Miami, two men are found beaten and shot behind an abandoned house. As Det. TC Cepero digs deeper into the case he unearths more than one reason the men could have been killed. 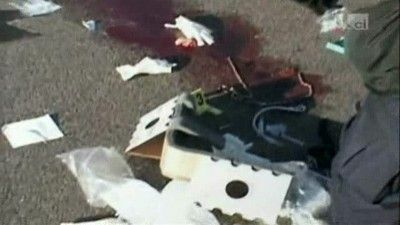 In Harris County, Texas investigators are called to an abandoned SUV, its interior covered in blood. The vehicle's owner, a 20-year-old single mother, is nowhere to be found. The Sheriff's department believes she's been murdered, and her boyfriend is the main suspect--but he's not talking. Thirteen hundred miles away an SUV slams into a house, its driver shot dead behind the wheel. Detectives soon have an ID on his shooter, but he's fled the state, and a manhunt is on. 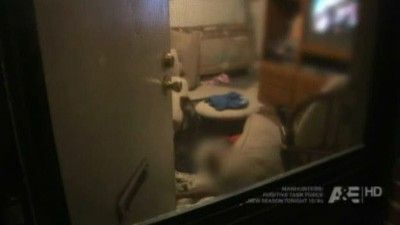 In Harris County Texas, a 38-year-old man is stabbed to death in his own home leaving behind two children and his wife. Investigators track down the suspect thanks to surveillance video and some good old fashion detective work. But when the defendant claims self defense, the state must put together a case that will convince the jury the dead man was in fact the victim and not a predator. In July of 2006, Miami detectives Rolando Garcia and Orlando Silva responded to the shooting death of nine-year-old Sherdavia Jenkins. After a three-week investigation, detectives were able to close their case, charging two men with second-degree murder. Three years later the two men would face Sherdavia's family in court. When one of the defendants agrees to testify against the other, the outcome is unexpected. 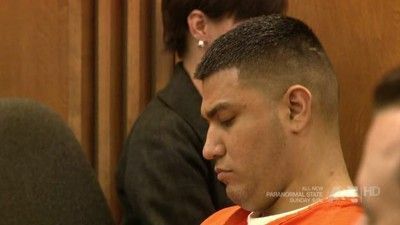 Filmed by our cameras, the trial would heat up with contentious moments between the defense and lead detective Garcia. In Miami, a family is shattered when two teenage brothers are gunned down in their own backyard. Two surviving friends point Detective TC Cepero and his team in the direction of two desperate and dangerous gunmen on the run. But Cepero will need the community's help to get the brazen killers off the street. Detective Rick Duggan arrested two suspects for the murder of Leonel Valle. Now the justice system needed to determine which of them was most responsible - the girlfriend, Marsela Cortez, whose fingerprints were found on his empty safe, or her jealous ex-boyfriend, Gerardo Hernandez? 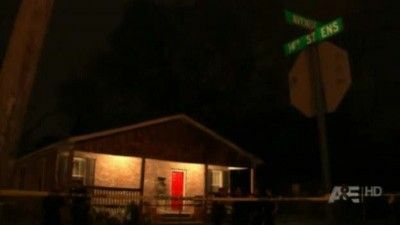 In Louisville, a community is outraged when a married couple is gunned down at home in front of their two young children. Det. Kevin Trees and the homicide team hit the streets hoping the community's strong reaction to the killing will trump the neighborhood's long-standing code of silence. Armed with expert interrogation techniques and a polygraph, Trees navigates his way through false leads and deceptive witnesses. As he works his way toward a suspect, the investigation takes a shocking turn. Tucson, Arizona. Sixteen-year-old Derreck Burruss and his friends were walking home when they were confronted by two men. The older of the two pulled a gun and shot Derreck in the chest. Lead Detective Bill Hanson and his team arrested fifteen-year-old Raymond Godoy and his cousin, eighteen-year-old Anthony Encinas, for the crime. Derrecks mother, Lakia Culver, would have to face both men in court. And she would be shocked by the outcome of Godoy's hearing. Next, Dallas, Texas. At 12:45 a.m. on the south side of Dallas three men were shot in front of a hotel. Two of them were rushed to the E.R. and the third lay dead on the pavement. The victim was 22-year-old Ivan Rangel. Rangel's friends told lead detective Phil Harding they didn't recognize the men who shot Ivan. It was Rangel's sister who gave Harding his first lead. Her family had been drumming up information about the murder and she named two suspects. But will one walk without any solid evidence against him? 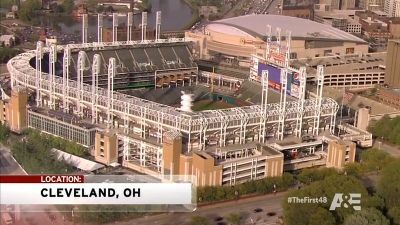 When a bullied teen is gunned down, Cleveland Detectives are shocked to discover the motive behind this senseless attack. A 19-year-old with a criminal past comes face-to-face with a good Samaritan trying to save his friends, and a single gunshot sounds. With the legal system put to the test, will a killer be let loose on the Dallas streets, or spend life behind bars? LOCATION: PHOENIX Detectives Sallie Dillian and Cliff Jewell investigate a female skeleton found in the desert. Along with forensic anthropologist Laura Fulginiti they work to determine who the mystery woman is. At first, they don't even know if she was murdered. 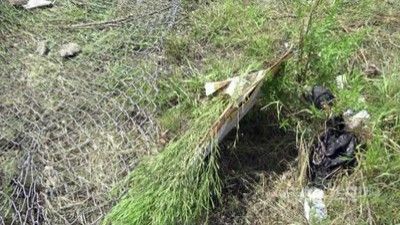 But they use the scattered forensic and physical evidence to determine her identity and crack the case. 18-year-old Kenny Smith is shot in the head as a party of hundreds of high school students is breaking up. Because he is not expected to survive, homicide detectives Sandy Rodriguez and Tom Kulesa are called to the scene. Witnesses describe the shooter as a black male in a ski mask. In an intriguing development, there is a report of another non-fatal shooting that took place nearby, where the victim also described the shooter as a black male in a ski mask. Rodriguez and Kulesa must determine if the two events are related, who would have been after Kenny Smith, and why. An update on the case of an immigrant from Darfur who was shot and killed in his Louisville store during a robbery. New Orleans police detectives piece together the last hours in the life of a mother of five, who was found bound and executed in an empty lot. In Dallas, a young father is shot dead outside a bar, and the killer is caught on video. But can detectives find someone to ID him? Then, in Cleveland, a mother of six is gunned down on her birthday, leaving her family devastated and the homicide team desperate to figure out who pulled the trigger. 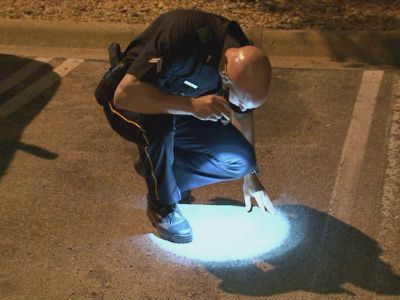 New Orleans detectives have little to go on in the hunt for a killer; a young woman is gunned down in the street while walking home from work. Detectives are called to a shooting that has left a man dead. When a woman shows up to retrieve something from the scene detectives wonder if she knows more than she lets on. A man guns down a mother of two, a witness comes forward to tell detectives the man is headed for Mexico. With the help of the SWAT team, they attempt to cut him off before he can flee.